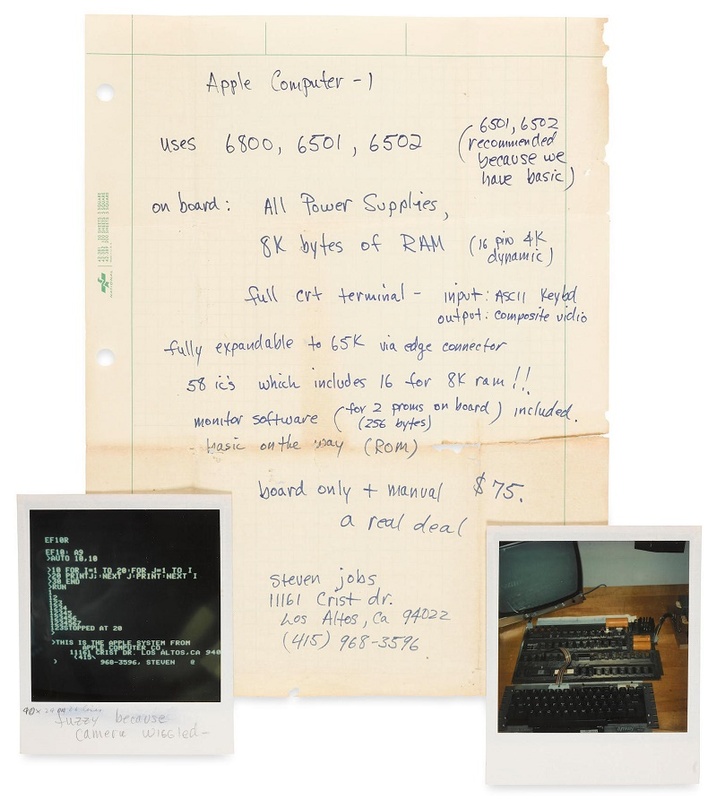 A Steve Jobs handwritten description of the Apple-1 computer is amongst the highlights of an upcoming Bonhams science and technology auction. The auction in New York on December 5 will also include a rare example of the groundbreaking computer itself, along with an equally rare working example of the Apple Lisa. The Apple-1 was developed by Jobs and Steve Wozniak in 1976, and marked the birth of both the home computer revolution and the world’s biggest corporation. The manuscript is one of the earliest known examples of Jobs’ renowned skills, as he promotes his new computer to a potential customer. He also includes two Polaroid photographs depicting the motherboard and keyboard, and a screenshot of the monitor (on which he notes “fuzzy because camera wiggled”). These two photographs would have played a vital role in selling the machine back in 1976, as no other early home computer had offered either feature. 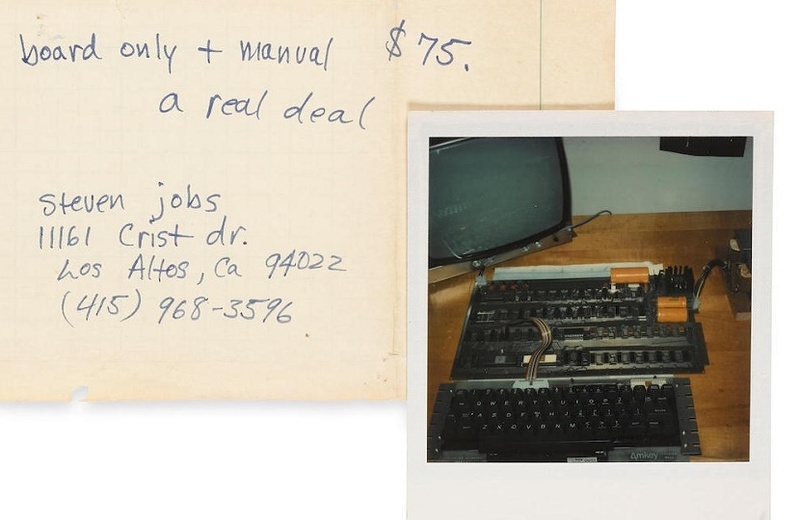 Jobs ends his handwritten sales pitch with the price of $75, and calls it “a real deal”. 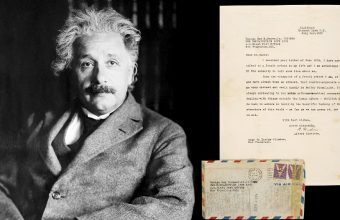 He also includes his telephone number and his home address of 11161 Crist Drive in Los Altos, California, where he lived with his parents whilst building the first batch of computers. Today that house is listed as a protected historical site, and every years people flock from around the world to have their photographs taken outside the “birthplace of Apple”. The manuscript comes with an estimate of $40,000 – $60,000, but given its rarity and the nature of the content it could easily fetch a far higher sum. Since his death in 2011, the market for Steve Jobs memorabilia has soared in value. Back in March 2018 a job application he filled out in 1973 sold for $174,757, and in 2011 the contract which founded Apple Inc, signed by Jobs, Wozniak and original co-founder Ronald Wayne, sold for $1.59 million. The Apple-1 computer on offer at Bonhams is one of just 68 surviving examples and is fully operational, having been restored to working order earlier this year. It is believed to be one of the first batch of 50 computers hand-built by Jobs and Wozniak, and sold through The Byte Shop for a retail price of $666.66. Upon the release of the Apple-II in 1977, the company offered an exchange program in which owners of the Apple-1 could return their computers and upgrade to the next model. 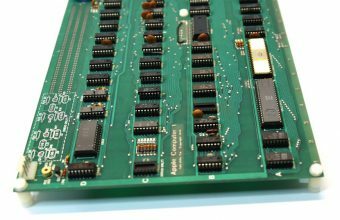 This example was returned to Jobs and Wozniak via The Byte Shop, and Jobs later gifted it to an old school friend who was seeking an old Apple-1 to experiment with. 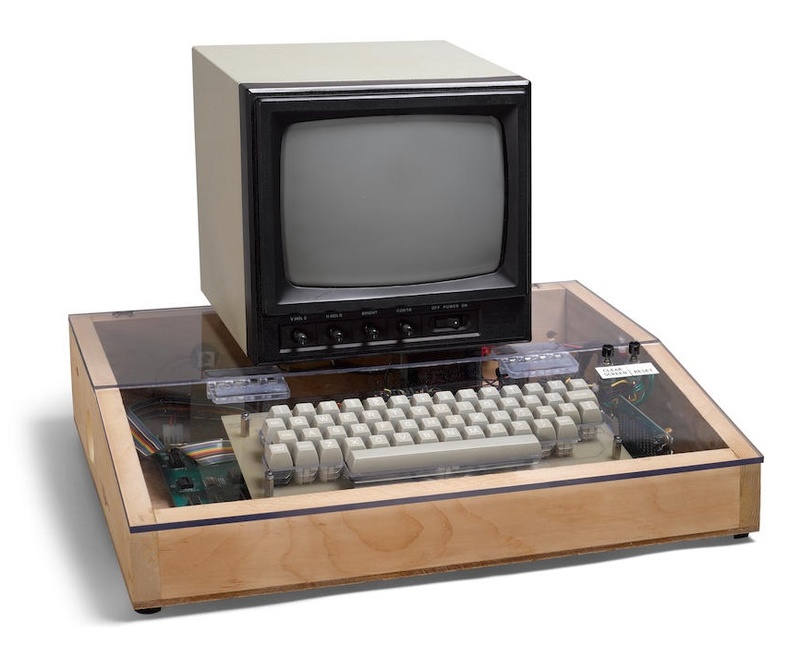 The computer comes complete with its original keyboard and cassette interfaces, a vintage monitor, and is housed in a custom-built wooden case. It will hit the block with an estimate of $250,000 – $350,000 but could also achieve a higher sum, as in recent years working Apple-1 computers have sold for as much as $900,000. The auction will also include an Apple Lisa computer, first released in January 1983. Although it was one of the first personal computers to offer a graphical user interface, its high retail price and its notoriously unreliable ‘Twiggy’ floppy disk drive meant it proved unpopular with customers. 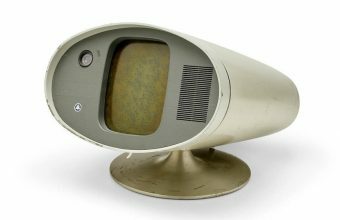 A year later it was replaced by the first Apple Mac, which once again changed the landscape of home computing, and the Lisa was swiftly consigned to technological history. Today working examples of the computer are considered highly rare, and this Apple Lisa is expected to sell for $30,000 – $50,000.